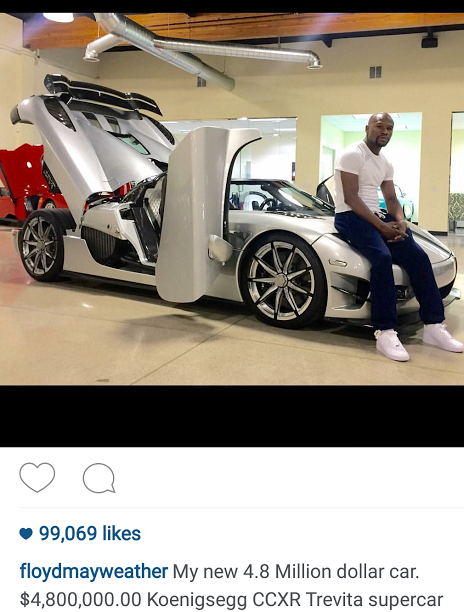 Floyd the money Mayweather showed off this expensive car, a Koenigsegg CCXR Trevita supercar that is obviously only made for the super rich. According to Floyd, there are only 2 of these made in the world and Floyd got the 2nd one. Money talks..